In these days I have long tested the new Doppelganger line by Phoenix Shaving (formally Doppelgänger of Phoenix Artisan Accoutrements). The product is shaving soap (thick paste) in the Black Label fragrance, a tribute to Christian Dior Sauvage 2015. The new Formula CK-6 is definitely rich. You can see the relative simplicity, compared to the refinement of the original Synergy that for me remains unattainable. The choice of functional principles, very performing, ultimately brings into practice what seems distant in theory. Further example of how practical experience is as important as ... and sometimes more ... theoretical knowledge. With all types of brushes used, ten seconds of load without even the veil of water are sufficient. More than enough, since the amount of foam produced is very abundant. Despite the very hard water (33 ° French), both in the bowl and in the face the assembly speed is high. And even the water point is simple to find from the first moment. Although slightly thirsty, however, it is less than other products of the same category for the wealth of the components. Protection, cushion effect, lubrication, hydration and conditioning, all are perfect. Even the yield is good, given that this week I consumed about three grams of product. The best part is really the last one, which for me is the most important. The conditioning of the skin, which maintains and perfects the comfort of all shaving, is on par with the best currently on the market. Nothing to envy to Barrister & Mann, Freelander, G & G Grooming, Martin de Candre, Meissner Tremonia, Saponificio Varesino, Tallow & Steel, etc. These (strictly in alphabetical order) are my favorite standards from a technical point of view. I already knew and appreciate the new Sauvage, with its spicy notes, very different from the original Eau Sauvage. The fragrance is a very faithful gift, and although it is not very powerful, it is clean and long lasting. Mainly using its balm (new formula Star Jelly) according to fragrance. Unfortunately, the only way to buy is from the manufacturer. The starting price ($ 24.95) is correct for the quality of the soap. Not so much can be said of the packaging, where the plastic jar and the labels are of lower quality. In fact, the single-walled Parkway container (albeit thick) is in semi-transparent polypropylene, and does not offer great protection. Even the plastic cover of the labels is quite yielding, and loses quickly in performance. Not to mention the costs of transport and import, which make this soap less desirable. In conclusion I am really very satisfied with this product. I agree with the ultra premium definition that PAA points out in opposition to the myth of products with animal fats. And I'm glad there is so much choice, and in the future it will increase, in the various fragrances available. Surely it is a very interesting project and it is worth to try it. Thank you for your review. I haven't seen many other reviews but those I have seen have mirrored your high praises. 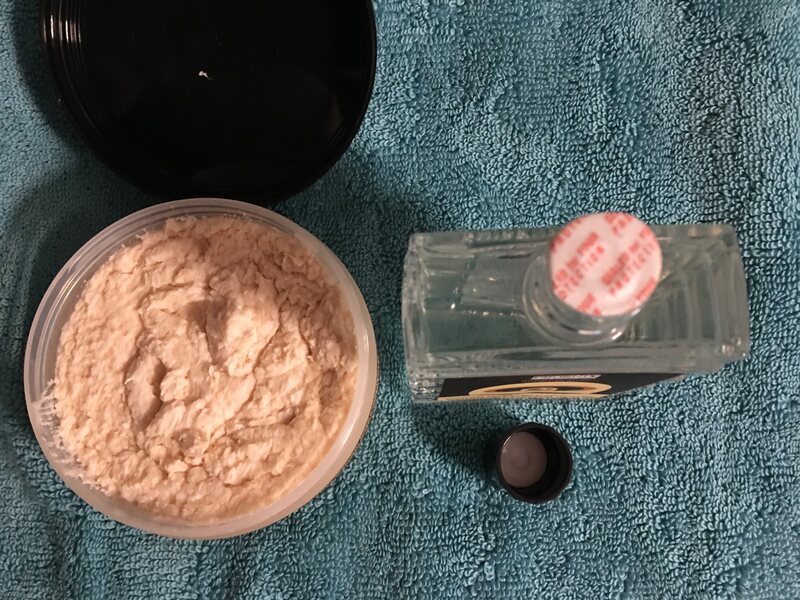 I am a big fan of the crown king formula... And I have been intending to try this newer CK-6 formula, but I have been waiting for additional scents to be released. Im sure its a great soap but I refuse to pay $24 for a tub of soap. Theres so many great soaps out there that can be had for $10-15. (11-18-2018, 05:23 AM)Badgerstate Wrote: Theres so many great soaps out there that can be had for $10-15. When You compare the yeld (in days) and the conditioning of the skin, some high end soaps are quite cheap. A week of pleasure took less than 3 grams of soap. I have the regular PAA shaving soaps and the new CK-6 soaps and I think the price difference is worth it for the CK-6. If you wanted comparable results from another brand, you would need to spend more than $24 IMHO. I have used the Doppelganger "Orange" Label (imitation of Ralph Lauren "Chaps") in the CK-6 formula for the past three shaves. Short and sweet... this is probably the best performing in-shave AND the best post-shave soap I've ever used (definitely the latter - and - by a noticeable margin)... skin has never felt so soft and so good in my life. But, the CK-6 formula is EASILY worth the extra cost. I now have placed an order for the "Black" Label (imitation of Christian Dior "Sauvage"). I'm quite happy to use it daily, for both face and head, and wouldn't miss any other soaps in my possession. I am pretty sure the container and the label will last until I've used up the contents-seems worth the $$ to me. I too have used the CK-6 "Scentsless"product and agree that it is THE best soap I have used in my 73 years on the planet. Super slick. Excellent post shave feel. Note the extra S in the middle of the name "Scentsless"
I purchased PAA CK-6 Doppelganger (Chaps) and while the fragrance left me wanting, the post shave sensation was one of best I've experienced. Its post shave moisturizing treatment will amaze most anyone who would use it. SV is still 'Top Gun' in my book but if moisturizing properties (dry skin) is at the top of your list in a shave soap, then you must try this CK-6 formula by PAA. I just placed an order...…. I ordered the Cane soap and AS! I am looking forward to them! The thread above is an interesting read. However, I have never been cheated by PAA, and there are multiple sides to every story. The only story I know for a fact is that I love PAA aftershaves, and that they haven’t cheated me. The products have always been shipped quickly, and packaged well. In addition, I used the Cane CK-6 Shave soap and the matching aftershave this morning, and that CK-6 formula is the real deal in every regard! I liked it so much I bought the Penhaligons Sartorial clone a few minutes ago. Does CK-6 stand for "still does not contain tallow..........."? I kid, I kid. Looks like some CK-6 CAD might be in my future. (11-18-2018, 05:23 AM)Badgerstate Wrote: Im sure its a great soap but I refuse to pay $24 for a tub of soap. Theres so many great soaps out there that can be had for $10-15. The best price I can source for cupuacu butter is $450 a case and murmuru butter is $750 a case (55 lbs) so there is a much higher cost of production. My thoughts on PAA's CK6 formula is based solely on the Doppelganger Black label homage to the classic Dior Sauvage scent. A quick disclaimer before I continue and just to keep things on the up and up. I am a born and breed user of tallow based soaps. The performance and post shave effects that I've experienced with tallow based soaps will always keep those specific soaps at the top of the list for me. To be honest, I do use vegan based soaps on occasion but, they are limited to a very select few soap makers that give very good results across the board for me. Perhaps not equal to the tallow based soaps but, close enough. Those few are WSP's Rustic & Shave Cream lines, Wickham1912 line, Grooming Dept. Vegan line and Stone Cottage. I have used a few others but, these are the one's that got to stay in my den because they deliver consistently what I am looking for in a soap. Enough of that, let's get to the CK6 formula and its performance in the Doppelganger Black Label soap. I acquired the soap and aftershave as a set the first day it was released back in the first week of Ocrober. So, I've put in a few shaves and experimented with it since that time and I've gotten some consistent results for some time now. As most know by now the soap is more of a croap, not being to hard or overly soft. 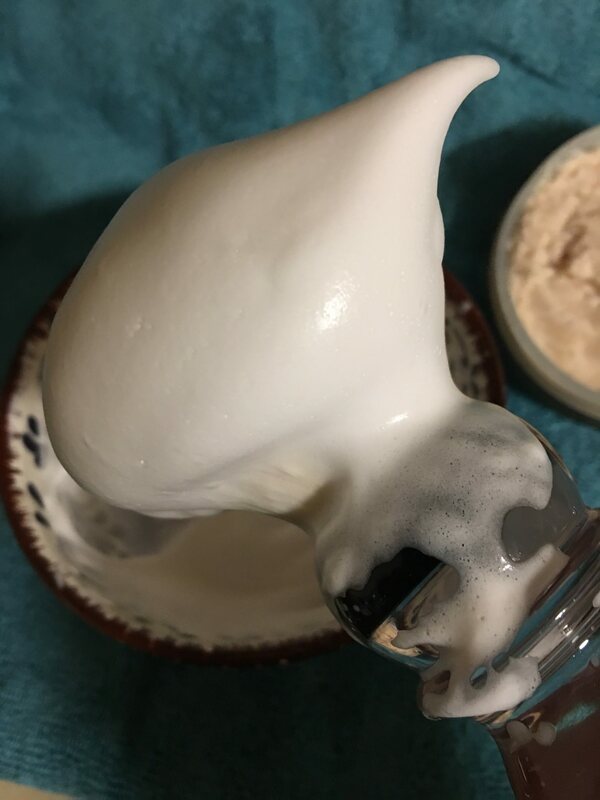 It can be scooped out and loaded into your fav lather bowl or it can be loaded directly from the tub and onto your preferred shaving brush. It builds a very nice lather in whichever method you use. It is easy to build and can take on some serious water before it starts to breakdown and get runny. 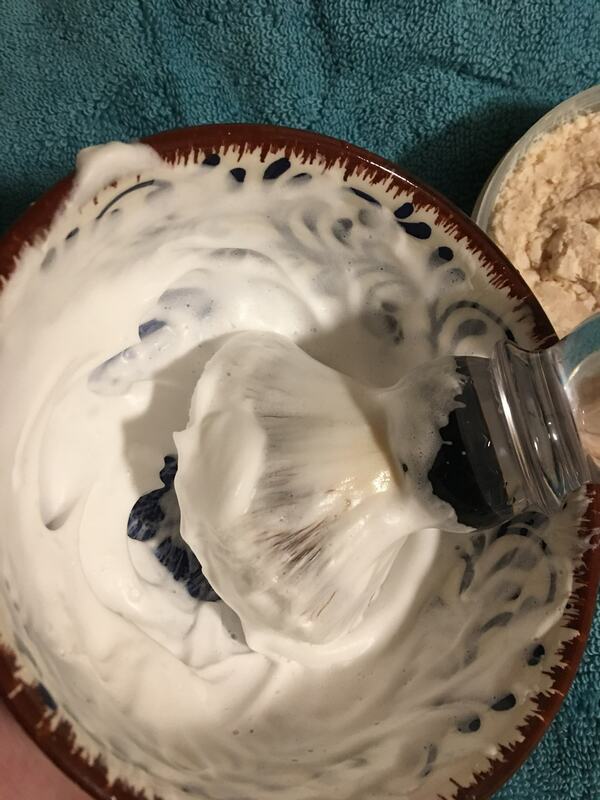 As you can see from the photos above, that lather was done up in under a minute and had a very nice full texture with about an almond sized dollop of soap. Just added water a few drops at a time until I got to the consistency you see above. 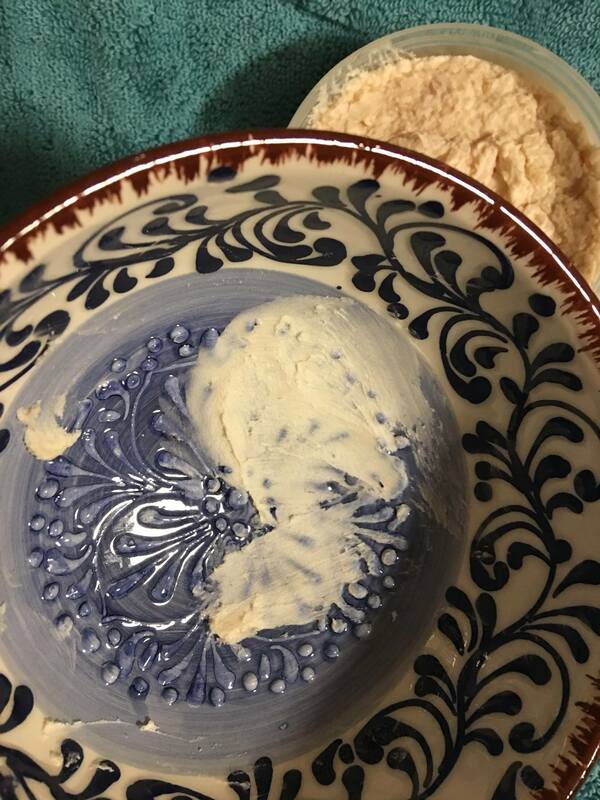 Creamy, rich and a hydrated lather with very little air bubbles. 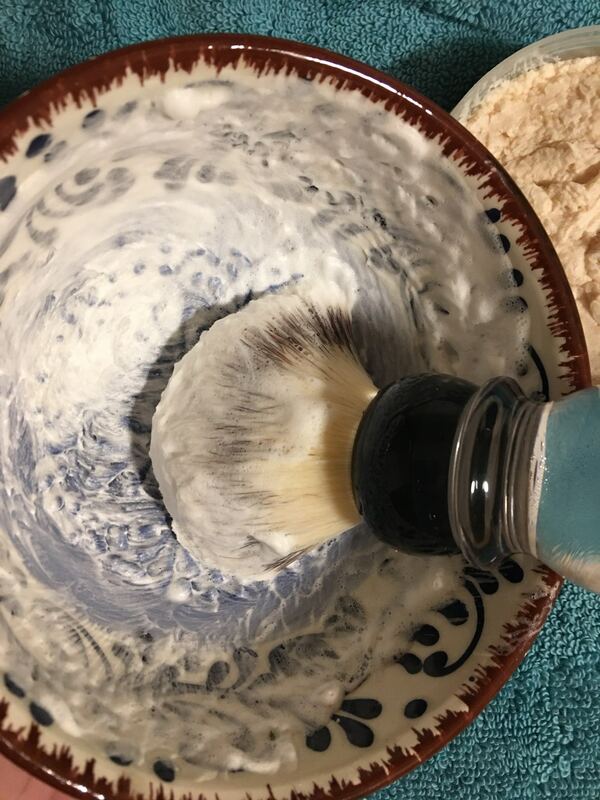 Not as dense and decadent as other lathers that I've built but, certainly good enough for a very nice shave. And it performed very well. Glide, slickness, protection and residual slickness were all there as a good soap should have. I never encountered an issue with the razor being harsh in any of my shaves during multiple passes and buffing maneuvers while cleaning up. The scent is there though not over powering with a semi sweet, floral and powdery yet masculine vibe. The aftershave splash is a little more robust and is closer in scent to the Dior classic. Not in your face POW! but, noticeable and the splash does linger for a few hours. Not bad at all. My issue is on 2 points with the CK6 formula. 1. Post shave performance. Though good and it left my face soft and irritation free, I didn't get the hydrating and moisturizing effects that I normally receive from the tallow based soaps. If anything, long term it left my face slightly on the drier side and I lost some elasticity if that makes any sense to some. Goid pist but, not great in my experience. 2. Price. It is up there at almost $25 for a new formula that is good but, not quite a tier 1 or elite soap in my estimation. There are other soaps out there that offer slightly better performance with a couple being substantially lower in price such as the Wickham 1912, the WSP Rustic and Stone Cottage. And the Grooming Dept is similarly priced but is definitely a couple notches above the CK6 formula and that is a fact. I will say that it is my first PAA purchase in regards to their soaps as I've never sampled or tried any of their other soap base lines including the Crown King line. Bottom line is, it's a good soap. A real good one that if there are those that can't deal with tallow based soaps, this one is a very good option to be considered for vegan followers and users. Personally I won't be making another purchase of the CK6 formula based soaps. I'll use this one up and once gone, it's gone. I will never, ever buy any product from Smythe - Hodges! Lying about his ingredients and all manner of shady business practices including interviewing himself are bad enough. But in my eyes his most serious offense against the community is Stolen Valor. I'm not military myself but I did lose my older brother in the Iraq War. Smythe Hodges tried to deny the facts that he lied about the whole thing. I've seen the proof and read his feeble excuses. He is a scumbag! (12-15-2018, 03:33 PM)LAParker Wrote: I will never, ever buy any product from Smythe - Hodges! Lying about his ingredients and all manner of shady business practices including interviewing himself are bad enough. But in my eyes his most serious offense against the community is Stolen Valor. I'm not military myself but I did lose my older brother in the Iraq War. Smythe Hodges tried to deny the facts that he lied about the whole thing. I've seen the proof and read his feeble excuses. He is a scumbag! Not wanting to purchase products from a business is certainly an individual choice - but name calling & rumor mongering is certainly not gentlemanly behavior. The products are fantastic & the customer service is above average - it seems to me that any other measure of this business is peculiar & off base. I’m sure you don’t monitor & judge the character of all store owners - if so you likely don’t do business with many.